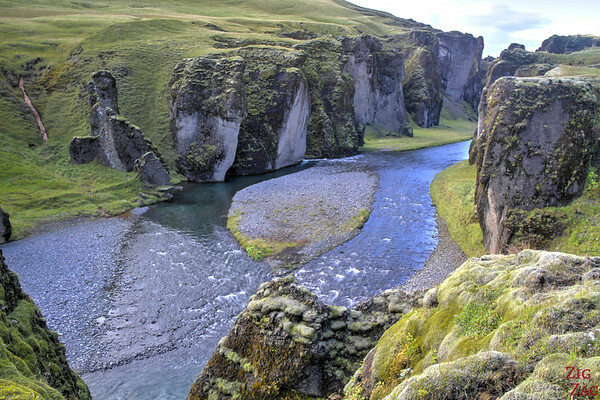 The shape of the Fjadrargljufur canyon Iceland is as strange and tortuous as its name. An easy path allows you to walk along its 2km all the way to a waterfall. It is a favorite for photographers because of all of its angles. Here is my travel guide to help you plan your visit. 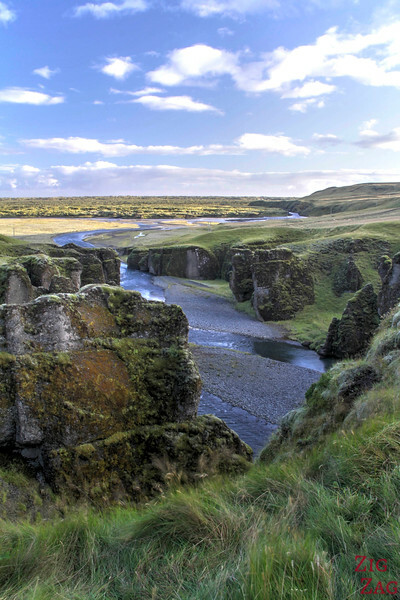 Located is South Iceland, Fjadrargljufur (or Fjadra Canyon) is a 100 m deep and about 2 kilometres long serpentine canyon with the Fjaðrá river flowing through it. 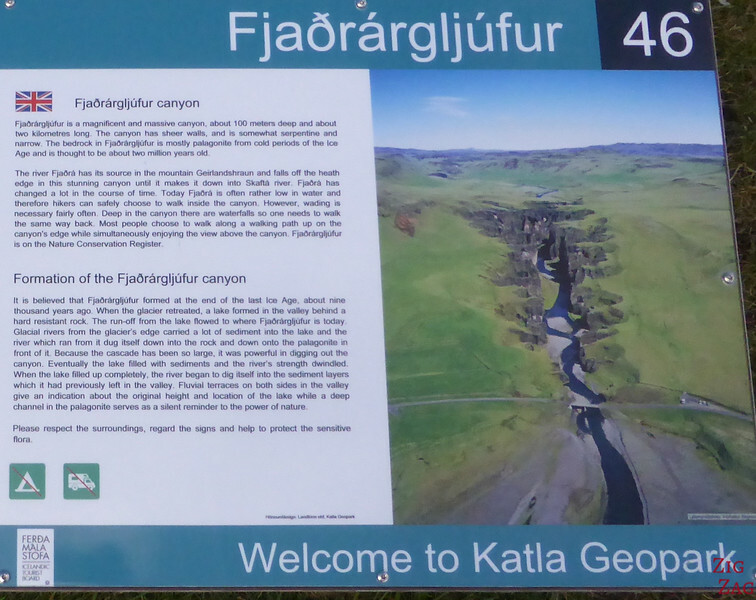 Its Icelandic spelling is Fjaðrárgljúfur. The bedrock is mostly patagonite from cold periods of the Ice Age and it throught to be 2 million years old. 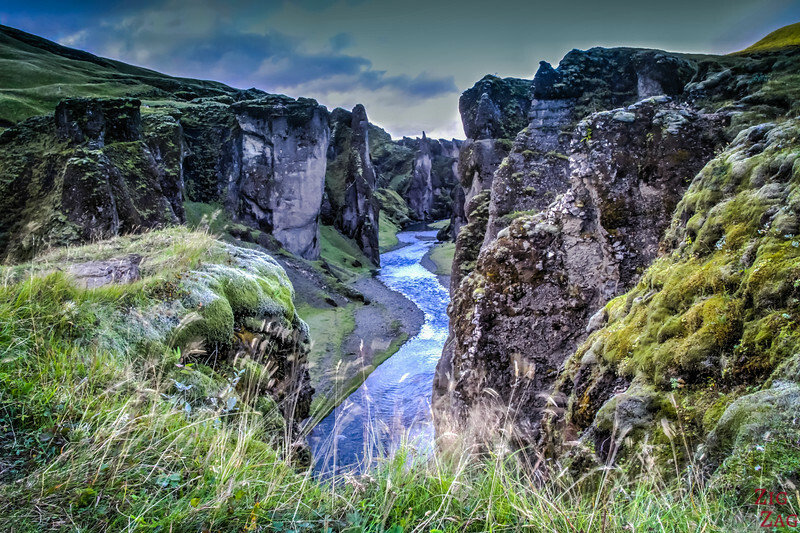 It is believed the canyon formed at the end of the last Ice Age, about nine thousand years ago. When the glacier retreated a lake formed in the valley behind a hard resitant rock. 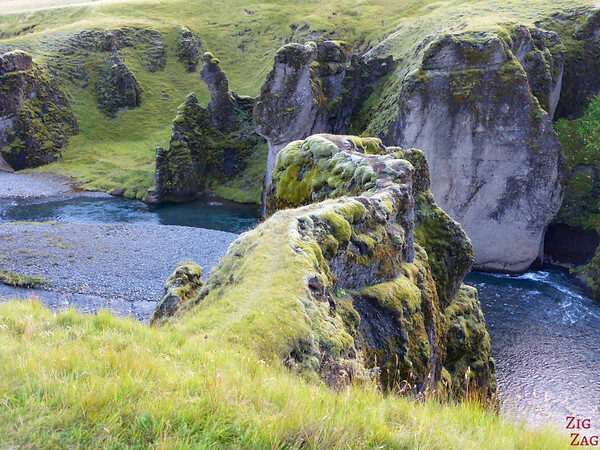 The run off from the lake flowed to where Fjadragljufu is today and erosion did the work. It is a favorite for most tourists in Iceland, but for me, it did not make it to my top 10 landscapes in Iceland. Driving west on the Ring road, it is 6 km from town of Kirkjubæjarklaustur. Turn North on Route 206 for approximately 2.3 km (gravel road). It is clearly indicated. Pass the intersection, continue straight there is a parking area on the right before the bridge. 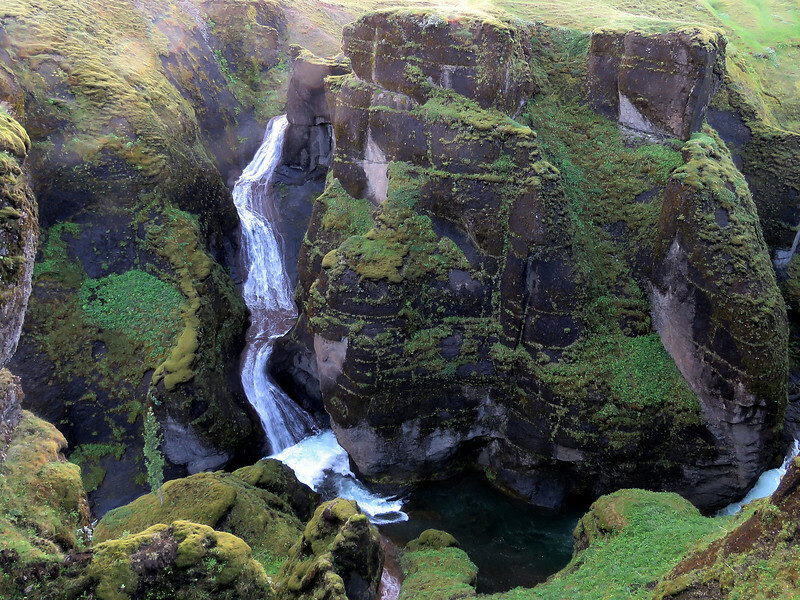 Fjadrargljufur, along with many other beautiful places, is included in my eBook: The Road Trip Guide - Iceland. Here are some pictures from the beginning of the path going along the edge. Some are looking into the canyon and some are looking towards the coast were there is a beautiful lava field. It was the end of the day, I was tired and did not take good pictures that truly give you an idea of the strange shapes and arches of the canyon. It is a very special place. 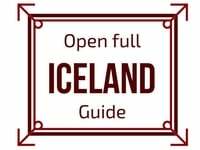 For pictures from different points of view you can check the Iceland experience blog. Strange shapes, don’t you think?